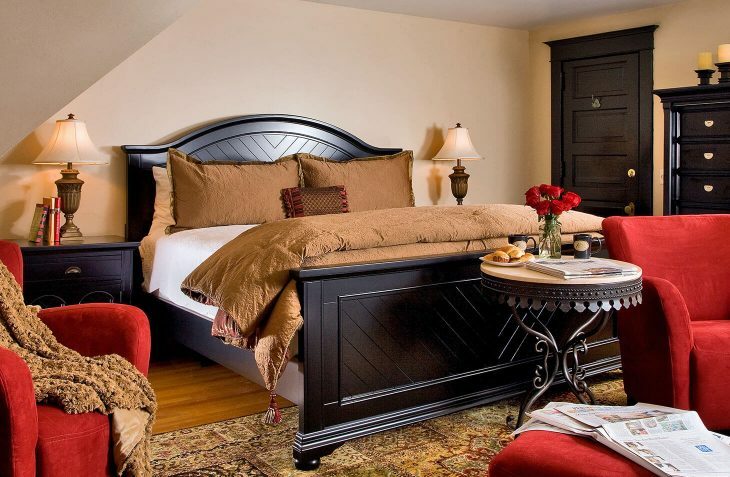 Our bed and breakfast in Michigan offers 10 luxurious rooms and suites with either a king or queen bed, a full gourmet breakfast, flat screen cable TV/DVD, and Free WiFi. 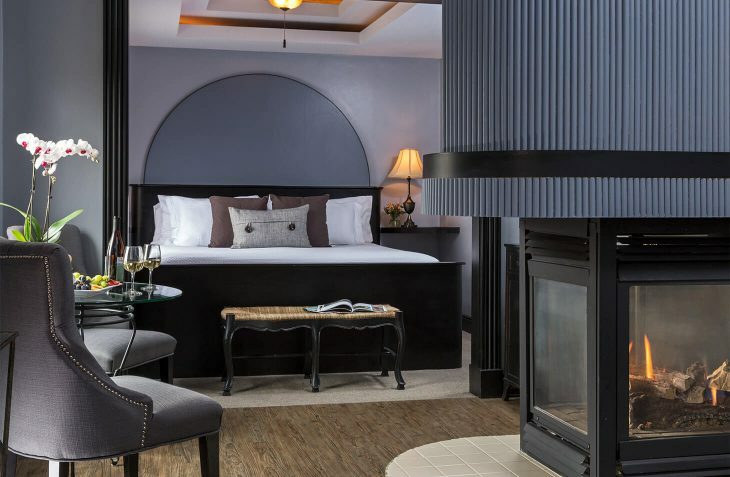 All eight of our suites feature a two person Whirlpool tub, flameless candles, fireplaces and private baths with shower. 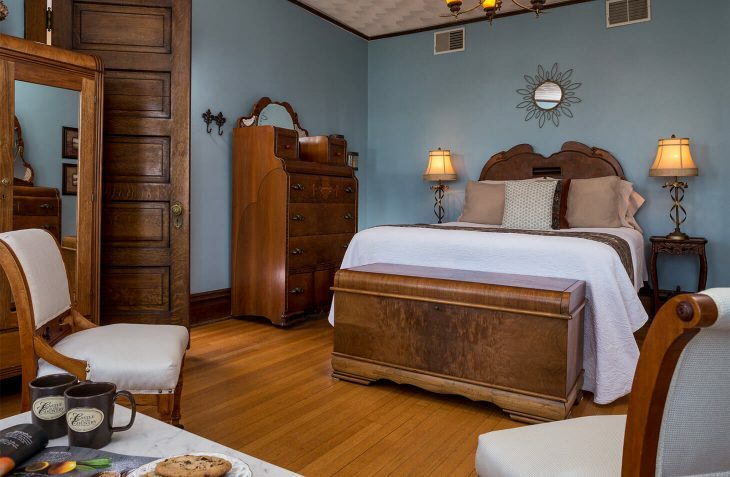 Two classic rooms feature queen bed and private baths with shower. Select from a number of packages and specials to add to your weekend getaway in Michigan. Just relax and enjoy complimentary use of kayaks & paddleboat on site in the summer months, snowshoes in the winter, secluded wooded trails for walking, screened gazebo, screened porch, outdoor fireplace area, and peaceful sitting areas. View accessibility information in our policies. We are staffed to check-in between 4-6 p.m. Eastern Standard Time. Check-out: 11 a.m. Sometimes earlier check-in or later check out may be possible for an additional fee and only when our housekeeping schedule permits. This must be arranged with the innkeeper via phone call only on the day of arrival. Michigan state law mandates No Smoking anywhere in any of our buildings or common outdoor space. We have designated outdoor smoking areas available. A $250 cleaning charge will be added for any violations of this policy. To maintain the efficiency and capability of our air conditioning systems, we ask that wood burning and gas fireplaces not be used while the A/C is in use. An outdoor fire pit area is available for your enjoyment. 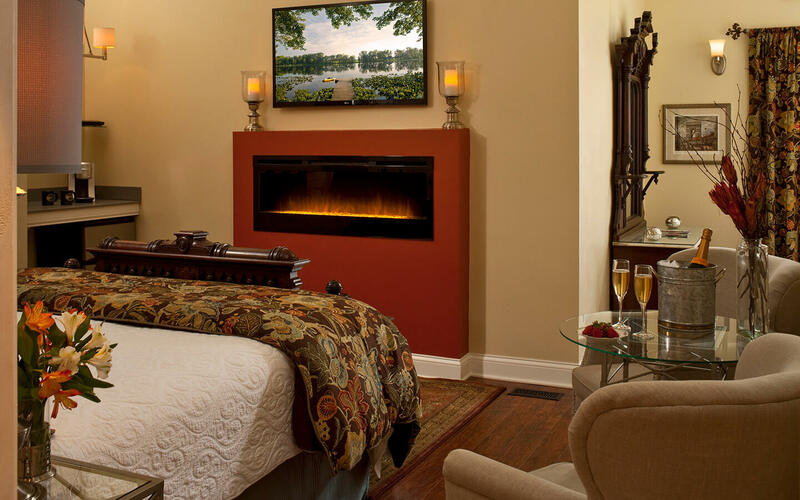 A deposit of half the total reservation cost (100% for single nights) is required for all reservations at our Michigan Inn and Spa. In exchange, we remove your unique room from our availability calendar and stop marketing it for your reserved dates. For confirmed reservations cancelled MORE than 14 days prior to arrival, deposit minus $30 processing fee will be refunded, or reservation may be rescheduled and deposit transferred to other available dates by calling 1-269-673-8054 or emailing a request for rescheduling the reservation. For reservations cancelled LESS than 14 days prior to arrival date, deposit will be retained unless the reservation is re-booked by another party. You are responsible for the entire reservation amount if we are unable to re-book a late cancellation, or if you fail to show, depart early, or arrive after confirmed dates. Please call 1-269-673-8054 to discuss our late cancellation process. Group Lodging with an Event reservation may require a non-refundable deposit for the Event and will require at least 30 days prior to arrival notice for a refund of the group Lodging deposits per room. 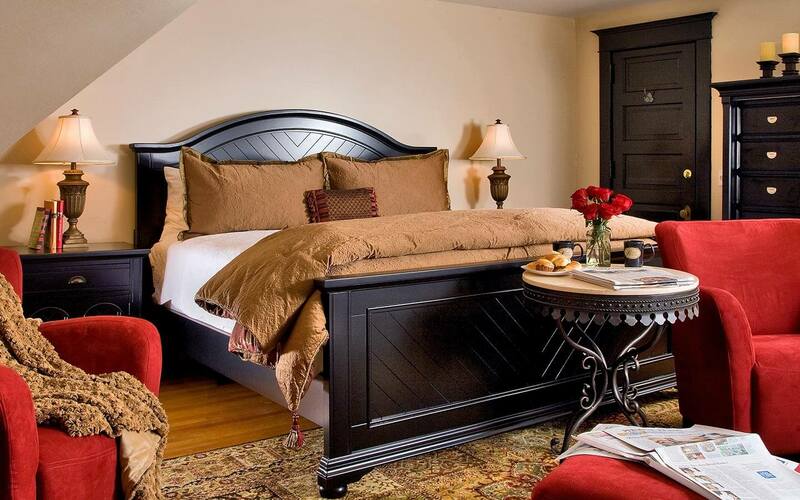 Two or three night minimums at our Allegan Bed and Breakfast may apply for most weekend, holiday, or busy season dates. 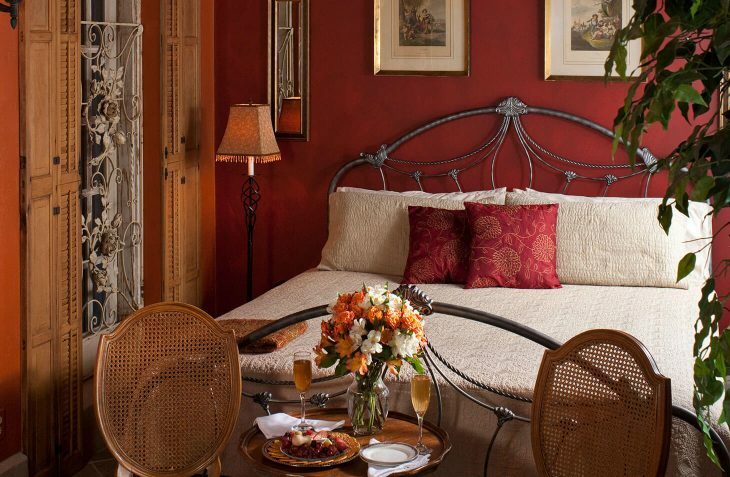 Single nights may become available when other reservations leave a single night available. Please visit our online availability and booking page, or call for special arrangements. 1-269-673-8054. 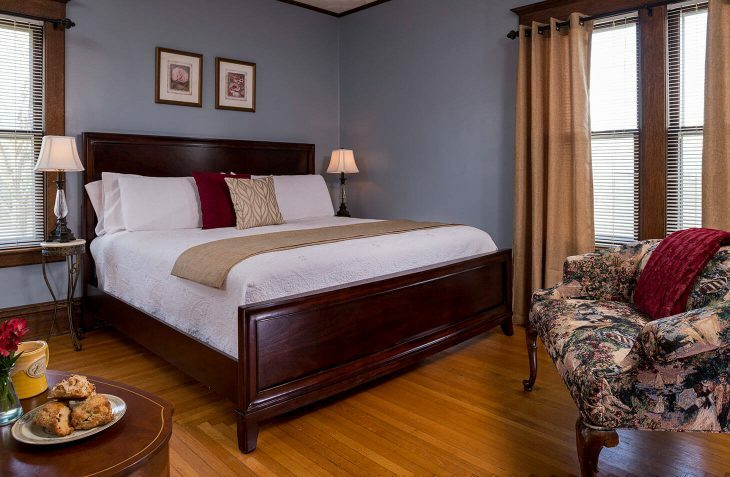 Castle in the Country Bed and Breakfast Inn is committed to facilitating the accessibility and usability of this website for all people with disabilities. We will continue to implement the relevant portions of the World Wide Web Consortium’s Web Content Accessibility Guidelines 2.0 Level AA (WCAG 2.0 AA) or such other standards as required by the Americans with Disabilities Act (ADA). On a periodic basis, our website will be tested with assistive technology. We ensure that individuals with disabilities can make reservations during the same hours and in the same manner as individuals without disabilities. 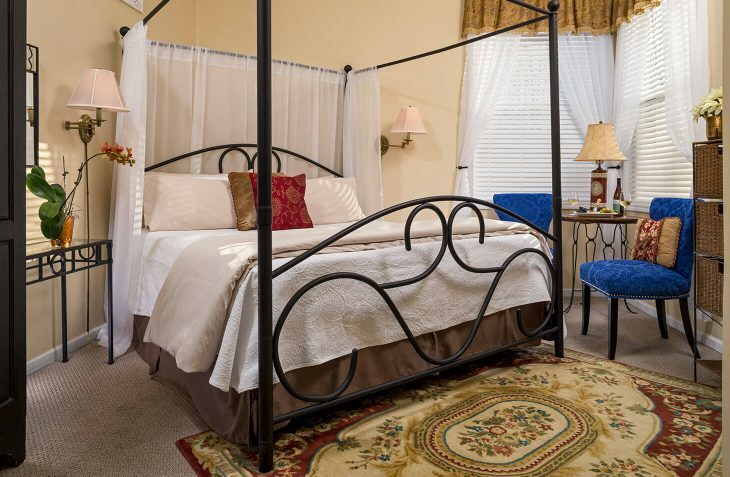 We have identified and described accessible features in our bed and breakfast and guest rooms in detail to allow individuals with disabilities to determine whether our B&B meets their needs. We ensure that accessible guest rooms are held for use by individuals with disabilities until all other guest rooms of that type have been rented. 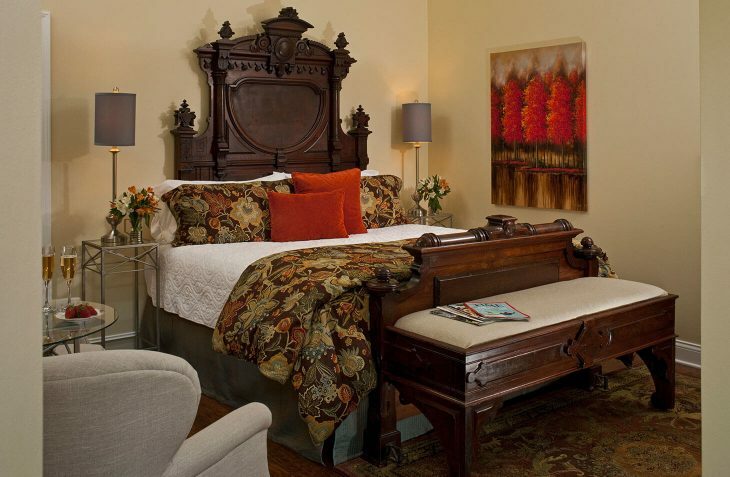 We guarantee that the specific accessible guest rooms, once reserved, are held for the reserving customer. 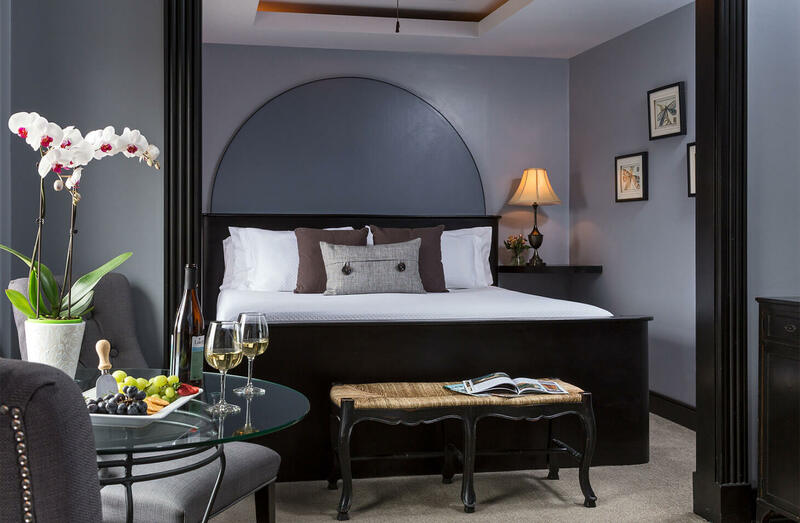 We make reasonable efforts with third-party reservation systems to make accessible rooms available through at least some of these services and they must provide these third-party services with information concerning the accessible features of the hotel and the accessible rooms. Guests with legitimate service animals as defined in the ADA will be provided access to all areas of the inn afforded to those without service animals. 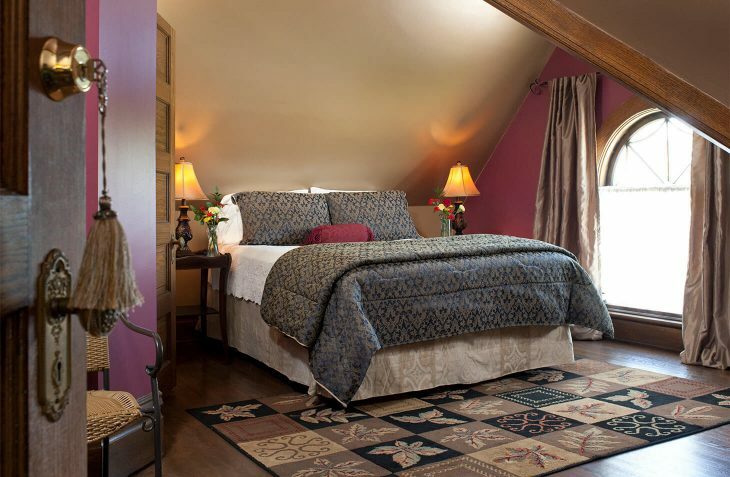 Camelot Suite is our one and only room designed with ADA compliance in mind. It is the only room located on the ground level within our two building property. There is a dedicated handicap parking space on our cement covered parking lot. 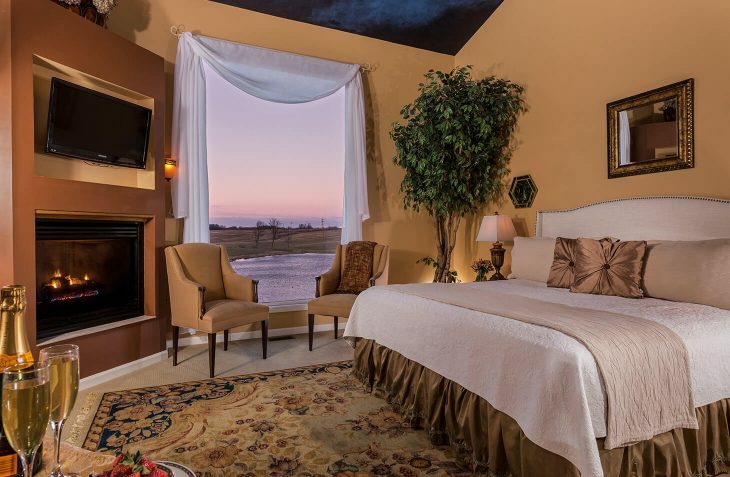 The guests of this room may park in this space and enter either the building via a wheelchair accessible ramp or directly into the Camelot Suite through its private, barrier-free outdoor entrance. The size of the room and wider doorways provide un-obstructive maneuverability for wheelchair access. The room and its large bathroom can be negotiated easily by wheelchair or walker. The bathroom features grab bars around the handicap accessible toilet, sink, and roll-in shower. The two-person shower has hand grips, multiple shower heads (including a hand-held shower head), and a moveable Teak wood bench. The towel bars and robe holders are recessed into the wall to provide an unobstructed path. The common areas of the Castle Keep building can be accessed by wheelchair along with the dining room which offers a clear wide entrance area and individual tables. The outside decks (containing an outdoor fireplace and covered sitting area) of the Castle Keep building are also accessible by wheelchair. There is a ramp to access the exterior boardwalk which leads to a screened gazebo overlooking the pond. Our indoor special use space offers handicap accessibility for wedding couples and their guests. The banquet room is fully accessible by wheelchair and is conveniently adjacent to a unisex handicap restroom. 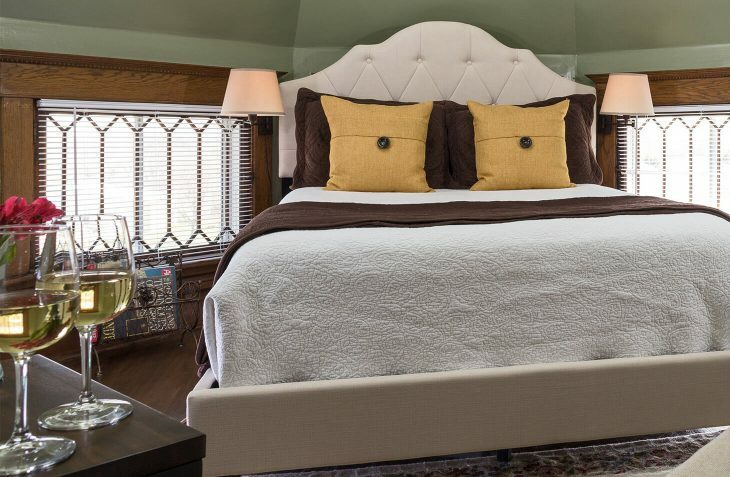 For special accommodation needs, please call us directly at (269) 673-8054 so we can help you determine the best guest room to ensure you have a comfortable arrival and enjoyable stay. Please be aware that our efforts are ongoing. 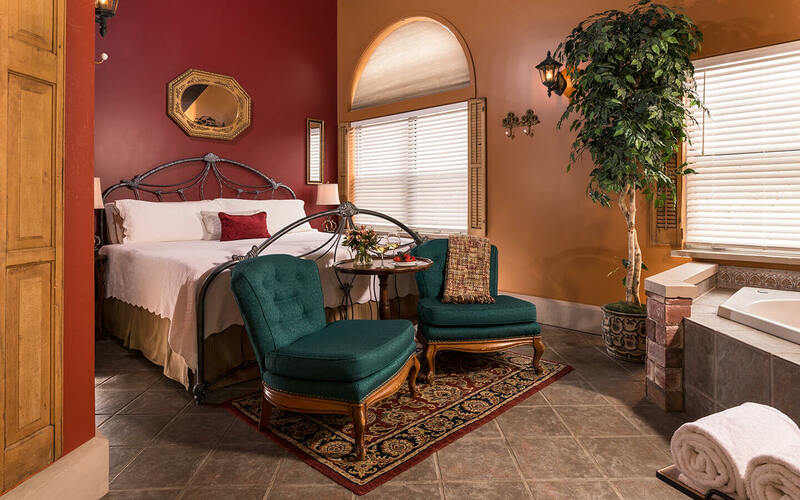 You may email us at info@castleinthecountry.com or call us 24/7 at (269) 673-8054 with questions or concerns regarding ADA accessibility, including issues accessing the website or with questions regarding the accessibility and personal needs of the various rooms.